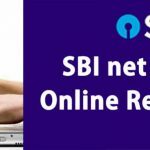 SBI Internet Banking Registration through Online is simple and anyone can easily apply for the SBI Internet Banking Account (Retail Internet Banking Facility), if you have an active SBI Savings Account. An Active SBI Online Internet Banking account is essential in these days. 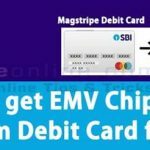 State Bank Of India already slashed the daily ATM withdrawal limit to 20,000, to boost the digital transactions. So if we have an Internet Banking Account, we can do the transactions online easily using SBI Anywhere App or YONO SBI App. You can also link your Bank Account with popular UPI Apps like Google Pay or BHIM and Make transactions easily. If you want to apply directly through the branch, then download and submit the SBI Online Internet Banking Form. 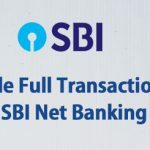 When you apply for a new SBI Account, directly through the branch and requested Internet Banking Account, then your branch will give you an Internet Banking Preprinted Kit. If you have already received the kit, then you don’t have to fill SBI Internet Banking Form Online Registration and Apply again for the Internet Banking Account. In this guide, find SBI Internet Banking Registration through Online step-by-step procedure. Click on ‘Continue To Login’ button. Now you can see a Login screen. 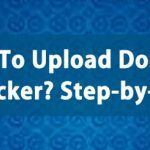 Find the Link ‘New User ? Register here‘ and click on it. Now you can see a warning in the Popup saying if you have already received the Pre-Printed Kit from the Branch, then do not proceed here. Click ‘OK‘ to proceed with the registration. Make sure that you have not received the Internet Banking Kit with your Online SBI User Name and Password. Now you can see the SBI User Driven Registration Form in a new Window. 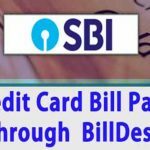 Enter Your SBI Account Number. You can find your SBI Account number in your Passbook or any recent SBI Account statement. Find your CIF Number ( Unique Customer Information File Number) from your SBI Passbook, Cheque Book or from any SBI Account Statement. 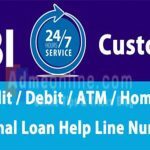 CIF Number is mandatory for applying SBI Internet Banking Account Online. 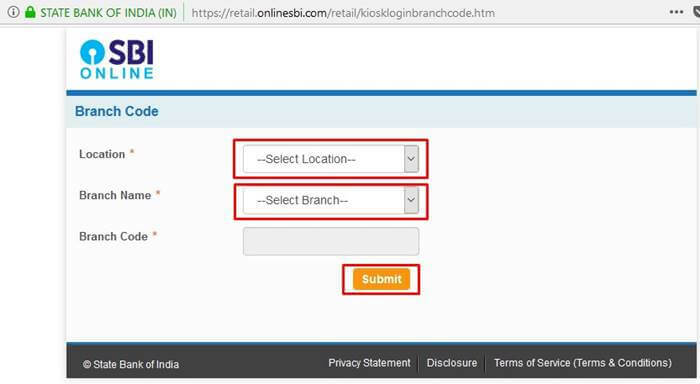 Then Find your Home SBI Branch Branch Code. If you don’t know the Branch code, you can easily find it by clicking the button ‘Get Branch Code‘. Now you can see the Branch Code finder in a new Window. 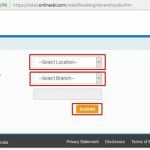 Select your Location and your Branch Name to get the Branch Code and then click on ‘Submit’ button. Select your Country and then enter the SBI registered Mobile Number (Mobile Number given in the branch when you applied for the SBI Account in the branch). If you have not registered a Mobile Number with your SBI account, then you can Register or change the Mobile number easily. 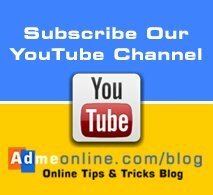 Learn SBI Internet Banking Mobile Number Registration process. In the Facility Required Column, Select ‘Full Transaction Rights‘ to get full access rights in the Online SBI Internet Banking Account. If you have selected other options, then don’t worry, you can Enable Full Transaction Rights in SBI Online at any time. As a final step, enter the Text (Captcha Code) shown in the Image and click on ‘Submit‘. 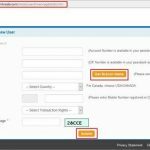 Now you will get an OTP (One Time Password) in your SBI Registered Mobile Number. Enter the OTP and Click on the ‘Confirm’ button. SBI Internet Banking new Registration Online process 1st stage completed. Now you will get options to activate your SBI Internet Banking Account. You will get two options for the Online Banking Account activation . If you have an ATM Card of SBI, then you can complete the Online SBI internet Banking Registration and Activate the Net Banking Account immediately without visiting your Home Branch. If you don’t have the ATM card, then the SBI Internet Banking Activation can be done by the Branch only. If you have the SBI ATM card, then select the option ‘I have my ATM Card’ and click on ‘Submit’ button. Now you can see a temporary SBI Login User Name. Note the User name in a secure place. Confirm the password by re-entering it. Don’t forget to note down the password in a secure place. Your SBI Internet Banking Registration through Online is successful. Now you can use your Temporary User Name and Password to login your newly created SBI Internet Banking Account. Note: You will get your Temporary SBI Net Banking User Name as an SMS to your Registered Mobile Number. You can use your Temporary User Name and Password to login to your SBI Online Banking Account. 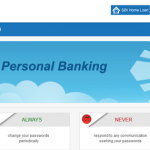 Visit Onlinesbi.com Personal banking Login page. Enter your Temporary User Name (Received in your Mobile Number) and Password. 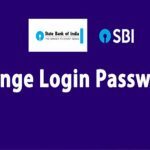 Now SBI will identify your Login as the first time login and provide you the options to create a new SBI Login User Name of your choice. After entering the User Name, Select the Check box accepting SBI Internet Banking Terms and Conditions and click on ‘Submit’ button. Now you will get an option to set a Login password and Profile password for your account. Enter the Login password, Profile password, Security Question and Answer, Place Of Birth, Country and Mobile Number. 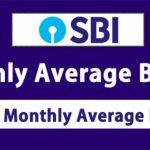 You SBI Internet Banking Account is created and activated successfully. You will get a confirmation message there. If you have selected the second option (I do not have the ATM card (Activation by Branch Only)), then you can login with your temporary User Name and can set a password. Once the Password is created, you will get a confirmation page with your Temporary User Name and Preprinted Kit Number. Now Download and Print the Registration form and submit it to the Home Branch for activating your SBI Net Banking Account. Note: Do not share your SBI Internet Banking User Name, Password, Profile Password etc with anyone, even if they claim that they are from SBI Customer Care. SBI will never ask your Online SBI Internet Banking User Name or Password.